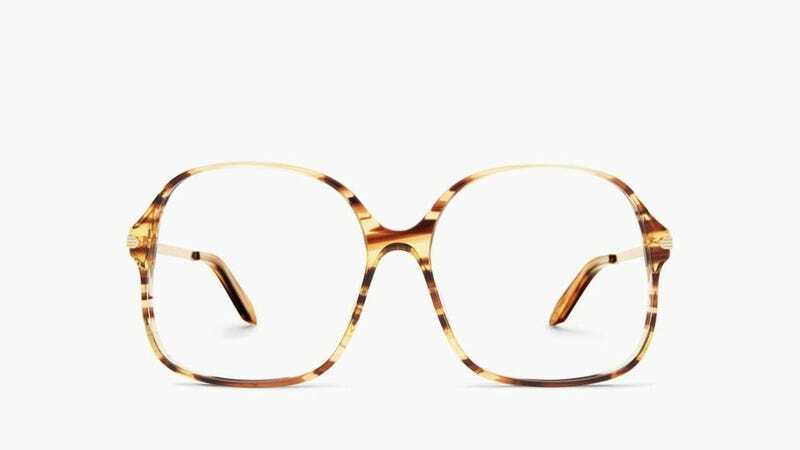 “Fine Optical Square” by Victoria Beckham. Image via Twitter. She is being roundly criticized in the comments for continuing to glamorize rail-thin models as she has throughout time. Our casting director spoke to the [model] agencies, and we know that all our girls are healthy. They’re young, they’re thin, but that doesn’t mean they’re ill. People are mean on social media, whoever you are. It’s a shame people have to be that way. Noooo, don’t meangirl us back to the times of consuming baby food with Jennifer Anniston and hallucinating on cayenne pepper with Gwyneth Paltrow and shitting ourselves like Leonardo DiCaprio! We wear sweatpants on Mondays now. Our eyeballs are healthy and beautiful, at whatever weight eyeballs typically weigh.